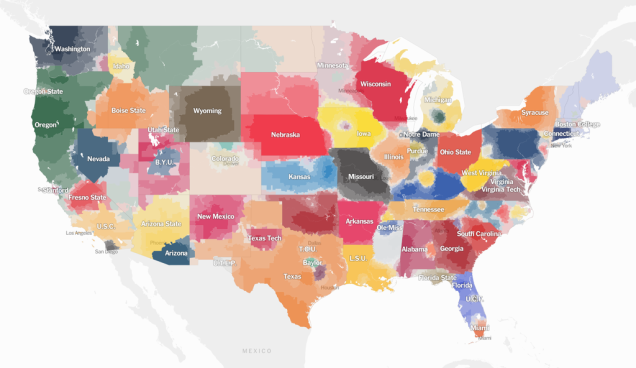 The New York Times released a new map showing which college football teams the people root for from data it got exclusively from Facebook. The map is highly detailed and the accompanying article goes into different rivalries. Teams such as Oregon, Texas and Notre Dame appear in counties all around the country. A fun map to explore this Saturday! At least Arizona is dominated by the better University.